Allin and Vice President Bush at the White House, 1981. The two men first met in 1963 after Allin offered the prayer at the opening of the congressional session. Although Bush and Allin did not always agree on political policy or strategy, they maintained a friendship full of lively debate. 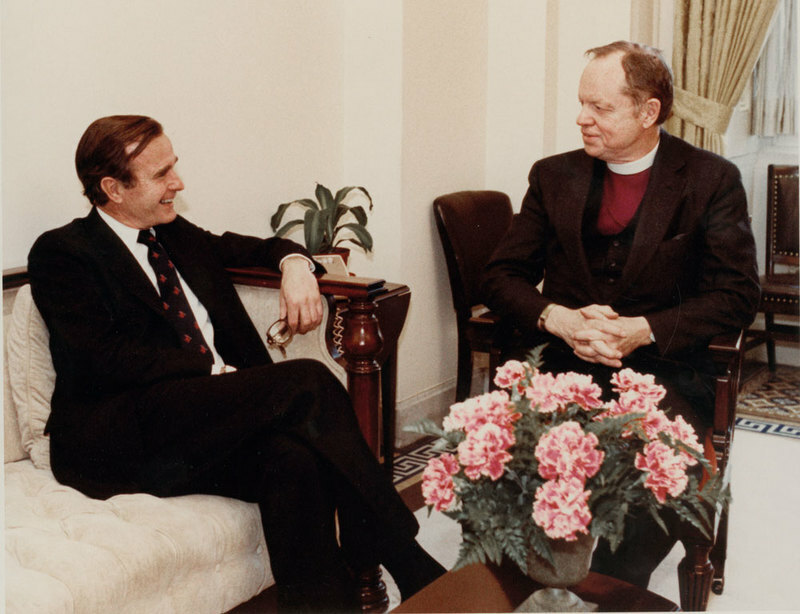 “Allin With Bush In Office,” Venture In Ministry: John Maury Allin, accessed April 19, 2019, https://www.episcopalarchives.org/jma-presiding-bishop/items/show/98.